Miles has lived and worked in Shaftesbury for the past ten years. 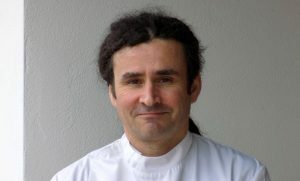 He is a dual qualified osteopath and podiatrist, with 18 years of experience working as a manual therapist. He is registered with the General Osteopathic Council and the Health and Care Professions Council. 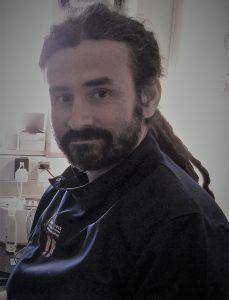 Miles completed his osteopathic training in 2002, having studied a full time honors degree, for four years at the British School of Osteopathy in London. Miles then worked in private practice for a number of years in the East Midlands; during that time he started to develop a particular interest in conditions affecting the foot and lower limb. He then embarked on another course of study at the University of Southampton, where he completed a three year degree in podiatry. He has since gone on to work in the N.H.S. and continues to work in private practice, where he combines his skills as an osteopath and podiatrist, to help patients with a wide range of musculoskeletal conditions and common foot problems. Miles’s earlier career included five years in the military serving as a Royal Marine. He has also worked in the health and fitness industry, as personal trainer and sports massage therapist and has a Diploma in Fitness Training and Sports Therapy. Miles will carry out a thorough assessment of your problem. This will include taking a medical case history and a physical examination. If you are taking any medications, then it is useful to bring a list of these with you, along with any medical reports, including x-ray or scan results. The idea is to build a complete picture of all the factors that maybe contributing to the problem. For patients who are coming for osteopathic treatment, a postural analysis will be carried out and you maybe required to undress to your underwear. Having assessed your problem, it will be discussed with you the best course of action. This will include an explanation of the diagnosis, treatment and the best way to manage your specific condition. In some circumstances, it may be necessary to refer you for further investigations prior to commencing treatment. However, in most cases, treatment takes place immediately after the first consultation and the aim is to resolve the problem as soon as possible. I have been a client of Miles for 5 years and his knowledge and expertise are first rate. – Alan Rutter, Gillingham. This is one chiropodist/podiatrist whose chair you may sit in without the least fear of discomfort. Miles is very well trained – many letters after his name – and has a great deal of ‘hands on experience’ as well.